The trouble with Christmas is not the commercial underpinnings or the trappings of food and wine that see us creeping back to the scales in shame. 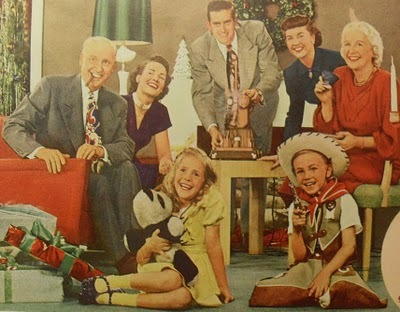 The trouble with Christmas, is how it perpetuates the myth of perfect. This is an old post but one that still rings true. So here’s an updated version for 2015. 2. Christmas creates an expectation that we should have ‘perfect’ moments, from family dinners to carol services. Even if you have found a sense of acceptance and self-awareness within yourself, Christmas thrusts many people and their hopes (expectations) together. Therefore, while you may find contentment, others who are seeking to ‘get it right’ in hopes of meeting their own Christmas expectations may still look to you to play a part. 1. We choose numbness. We intentionally pull back our emotional investment so as to navigate complex situations with the least amount of stress and emotional impact. 2. We relent to the power of old behaviours. There is a strange comfort and security in patterns we are at least familiar. We play our parts in arguments that we have every Christmas. We wrestle with the same feelings of disappointment over unmet expectations. The most dangerous phrase is “I was secretly hoping for.” An unvoiced hope is like an illness, affecting us day by day. So, it’s December 8th. You have 23 days, give or take a few hours. Seeing you can only work on yourself, not others – here’s a list to get you started for a less stressful Christmas. As with most things, good communication is the start. Communicating what we need, what we want, what we hope for and then listening just as hard to all other people involved. Identify the insecurities and vulnerabilities that feel particularly present this time of year. Pinpoint any obligations you feel or where you are striving to meet the expectations of others. Are they really reasonable? Rebalance expectations or obligations – what can you actually do, what do you want to do? Deconstruct your insecurities – what can you do to build your esteem? You’ll feel the benefits as soon as you start. Identify your own expectations and hopes for the Christmas season – are you hoping for particular feelings or certain shared experiences? It needs to be a little more specific than ‘I just want everyone to be happy’. Ask yourself the question ‘what will happiness look like, or sound like?’. The answer to that question is probably a great description of what you really want. Be realistic about how much of your circumstance you can control or influence. You can make choices to control more or less, but each choice has a consequence. Start with being realistic about what is inside and outside your control. Peacefully communicate your true hopes, desires and expectations to other people in your family. Invite them to do the same. Good luck. The bonus is that using this strategy of good, simple communication will bring benefits into many other parts of your life. Next articleWhat Cancer Really Does.